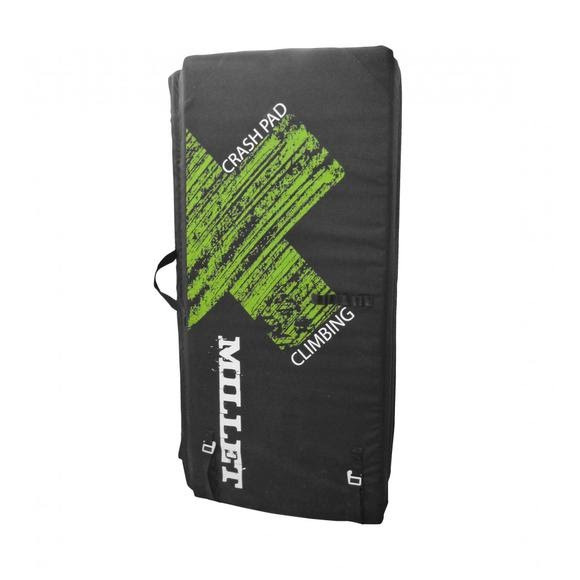 Compact and high performance, Millet's Crash Pad is an essential piece of your bouldering repertoir. Compact and high performance, Millet &apos;s Crash Pad is an essential piece of your bouldering repertoir. Folds in two for transport. 3 straps and metal buckles for closure. Unfolded size: 109 cm x 99 cm. Folded size: 99 cm x 61 cm x 20 cm.